These days, we’re being constantly bombarded by advertising. Whether you’re sat at home on your computer, watching TV or out-and-about, chances are that hundreds of products and services are being thrown in your face and often, without you really realising. In fact, there’s so much advertising out there that most of us are somewhat immune to it. I mean, how often do you really take notice of a billboard or advertising banner? Probably not that often. With so much advertising around, companies are having to become more creative than ever in order to make their ads stand out from the crowd and one of the ways they do this is by creating funny and entertaining ads. In today’s post, we’re going to take a look at some of the funniest advertising banners that have ever been produced. 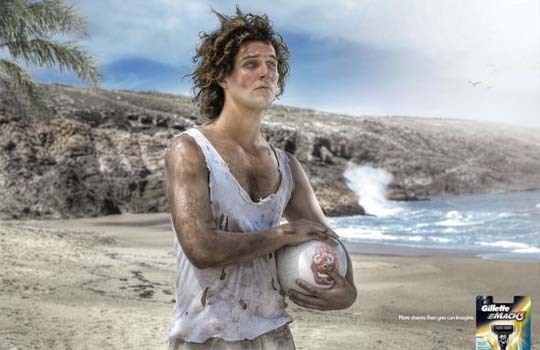 Here is a great collection of 20 funny ads for your inspiration. 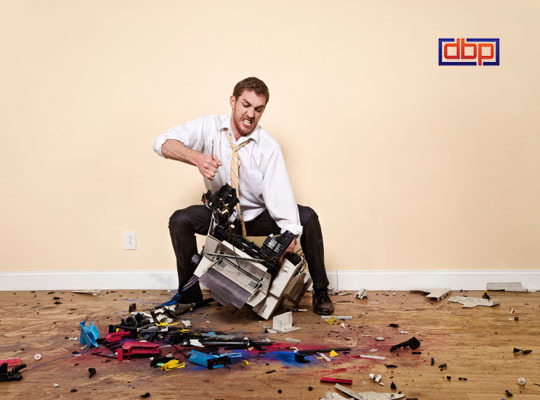 Leave It To The Pro’s..
Let’s face it, printers just never seem to work and I’m sure we’ve all felt like this guy at some point when trying to get some work done. This simple but effective ad from DBP shows that it’s probably best to leave it to the pro’s…unless you want this to happen. 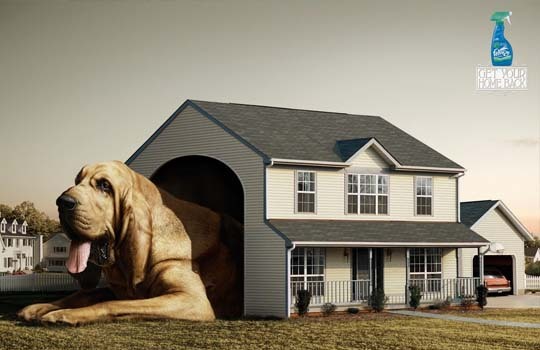 Here’s a simple but great ad from Febreeze emplacing just how well their product gets rid of odours in an amusing way. If you haven’t see the movie Cast Away, you might not understand this ad but if you have, you’ll realise just how funny and creative it is. The ad emphasises how long-lasting the Gillette Mach 3 razor is. 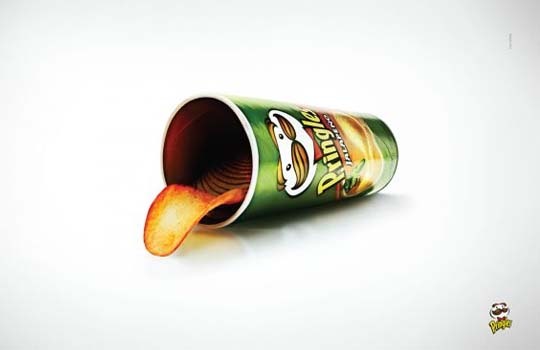 Pringle’s went minimalistic for this ad by making it appear as though the can of Pringle’s had a tongue. Sometime’s simplicity is the way to go. 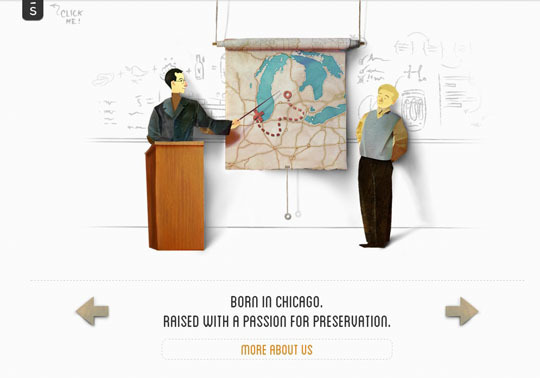 Ok, so this is actually two banner ads but I feel they deserve to make it to the last. 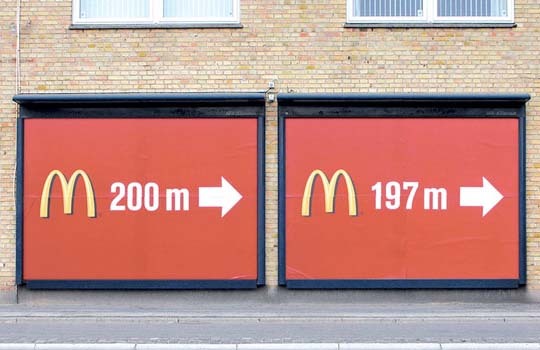 The ads aren’t funny in themselves but when you place them both so closely together (as McDonald’s did), you can see why they’re funny. 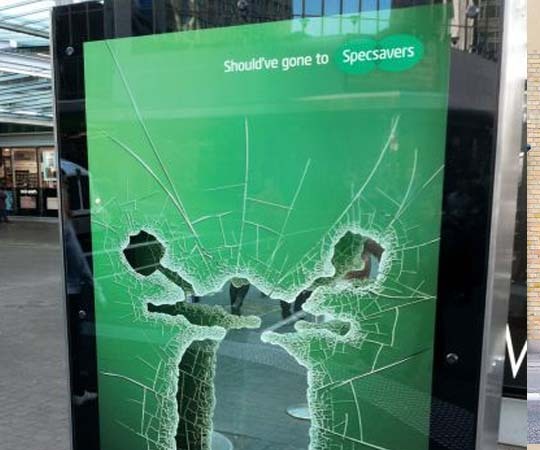 Another great ad from Specsavers that portrays the idea of a scooter smashing through their ad, due to the fact that the rider needed glasses. 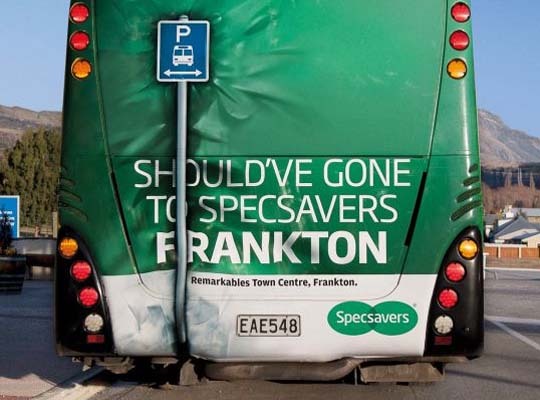 Again, it features their strapline: “Should’ve Gone To Specsavers”. 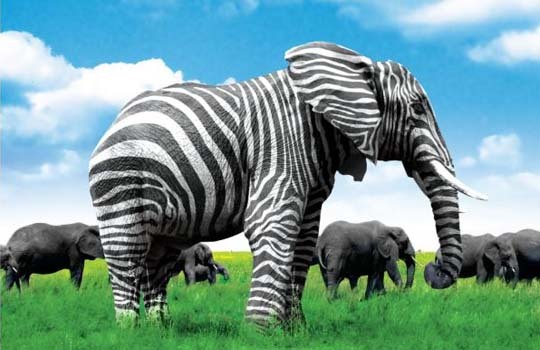 Spectrum Communications effectively advertised their ability to make brands “stand out” with this ad featuring an elephant painted like a zebra. It featured their strapline: “If There’s A Way To Stand Out, We’ll Find It”. 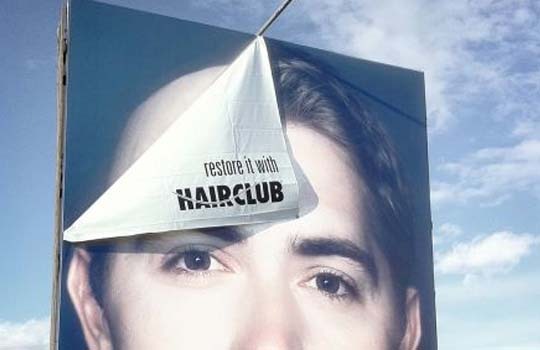 A great billboard from Hairclub.com that depicts the change that can be made if you choose to use their services. It’s simple, clever and funny. 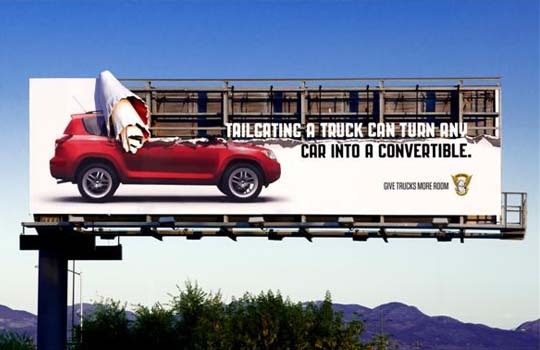 Here’s a fantastic ad from Colorado State Patrol that emphasises the need to give trucks more room on the road, or else you might accidentally turn your car into a convertible and lose your head in the process. 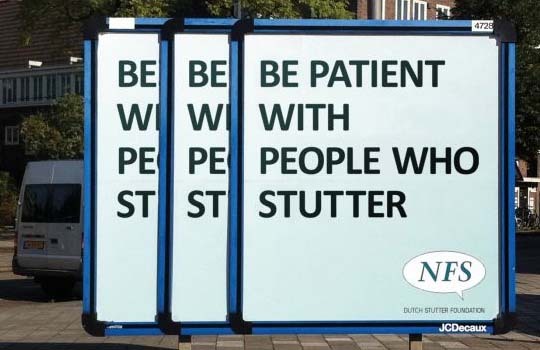 This ad from the Dutch Stutter Foundation gives a clear message in an amusing way. Although it looks like three ads, it’s just one clever design that almost certainly grabbed people’s attention. Here’s a quite strange, but also funny ad from the Serbian Film Festival in which they try to depict a film in a formula. The ad features the strapline: “Watch Films. Not Formulas” and was used to promote the festival. Cottage cheese is never going to be a very easy thing to advertise, at least not a in a creative or funny way, but the guys at Nordica pulled it off. This ad promotes the idea that “Anything Goes”, meaning that their product can be used in more meals than you might have thought. 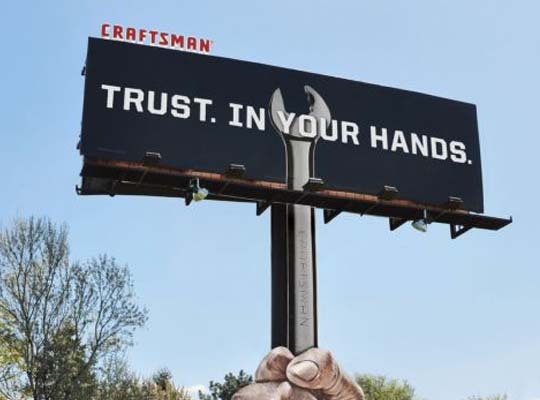 Here’s a pretty elaborate banner ad promoting Craftsman Tools. The ad is designed to look as though someone is holding up the banner ad with the aid of a Craftsman Tools spanner. This ad for Harvey Nicholas advertises just how much people love their sale without saying a word. The ad is designed as a mirror image and depicts a woman being amazed by what she sees with the strapline: “Stop Window Shopping”. 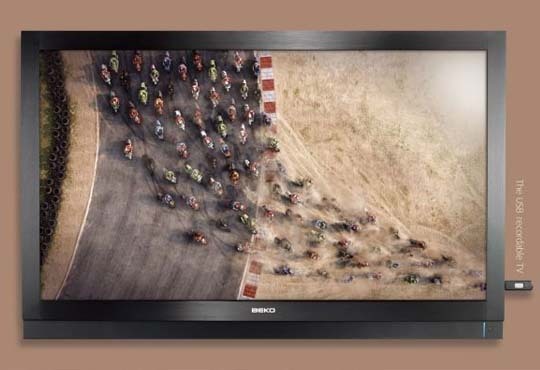 Here’s a hugely creative and funny ad from Beko advertising their TV that records to a USB drive. The ad depicts the image on the screen (motorcyclists) driving into the USB drive. At first glance, this appears to be a simple and good looking ad. However, on further inspection you realise that every music note is actually an earwax removal syringe. 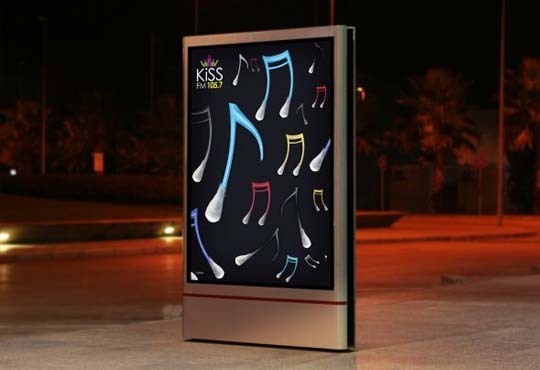 The ad was promoting Kiss.fm and featured the strapline: “Open Your Ears”. 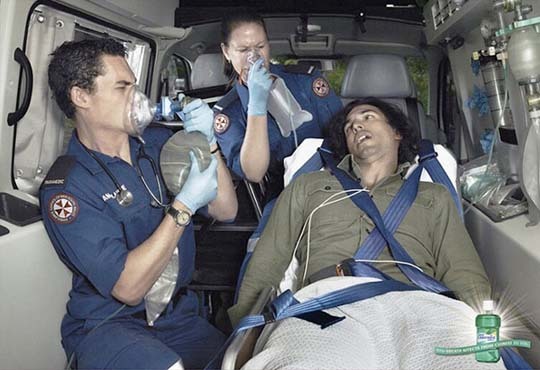 This hugely amusing ad from Listerine depicts doctors in an ambulance being shocked by a patients bad breath. It’s a simple, funny and effective ad. 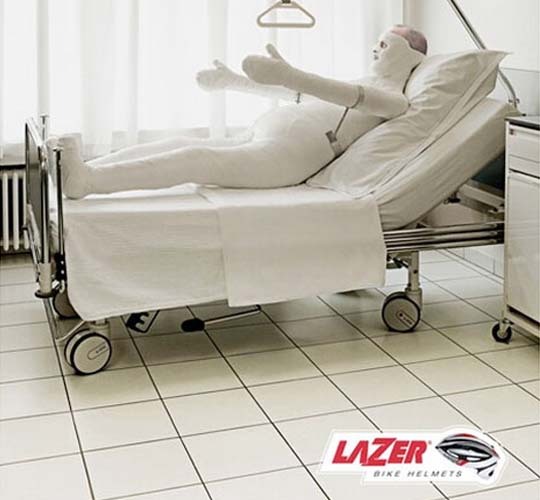 Lazer Bike Helmets came up with a great concept for this ad that depicts a man lying in a hospital bed with every bone in his body broken…apart from his skull. He must have been wearing his Lazer Bike Helmet. 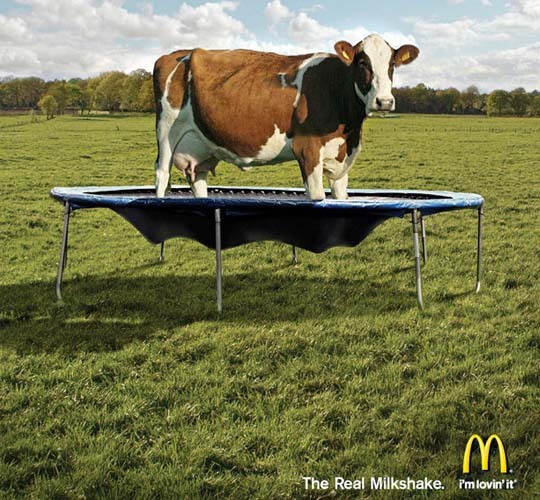 A cow on a trampoline; it can only be a McDonald’s ad. This ad features the strapline: “The Real Milkshake” to emphasise the fact that McDonald’s milkshakes are “real”. Josh is passionate about creative advertising campaigns and currently manages the social media campaign for DBP ; a printing company based in the UK specialising in banner printing.